Owning a car in India is no longer a luxury. It is a necessity. With blooming economy, attractive schemes from manufacturers & dealers and a wide range to choose from, the discerning Indian citizen is spoilt with choices. Increase in vehicular sales also implies increased pollution, choking traffic and most importantly congested and lack of parking space. In such a scenario, finding permanent parking space for car owners and aggregators is tasking. Car owners are constantly scouting for safe space for securing their vehicles during off activity hours. This has led to a massive surge in demand for organised parking spaces. Paid parking, contracted parking are new concepts evolving in concrete jungles. Landlords & house owners are letting out parking space to tenants in exchange for a fixed sum. Professional parking service firms are renting lands and converting them into common space for exclusive carports. How To Create A Car Parking Agreement? 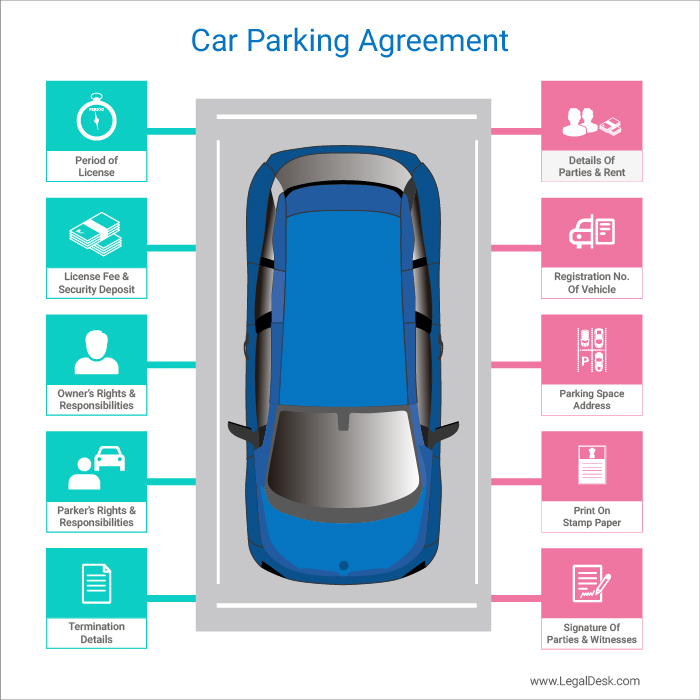 Car parking agreements are simple documents which can be easily drafted. 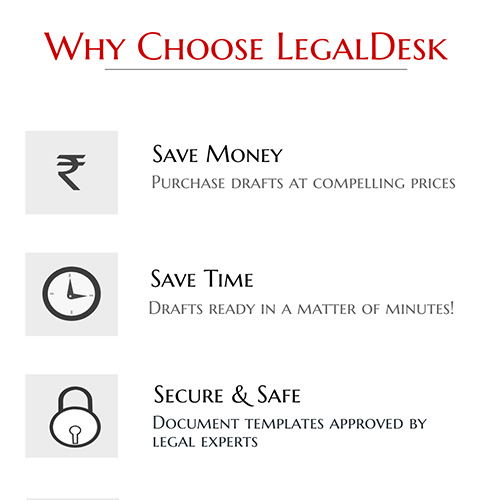 While many agreement formats are available online, they may not suit your situation and may miss few key clauses. A landowner who would like to create and let out parking space. A professional parking solutions provider, for signing contracts with car owners. An apartment owner looking out to rent the car parking space allotted to him/her. Such arrangements call for a written contract securing the interests of all the parties involved. It lays down rights and obligations and creates a framework for future reference. You can use our Car Parking Agreement on our site to quickly make a rental agreement. An all inclusive contract should cover the below aspects. This simple agreement format has been drafted keeping recent dynamics and trends in mind. It covers the finest aspects arising out of contractual relationship between an owner and parker. Create the deed with the names of the vehicle owner and parking space owner clearly mentioned. Ensure that the registration number of the vehicle intended to be parked and the address of the parking space is included as well. Clearly indicate details of rent and deposit. Print the prepared deed on stamp paper of recommended value. The parties involved must then place their signatures on designated places along with the signatures of two witnesses. What happens if there is no agreement in place? The owner will not be able to evict the parker’s vehicle in case of a dispute. There will be no document for future reference for all the stakeholders involved. In case of litigation, the court will demand for a copy of agreement without which the case prolongs.. If you think you might end up creating a draft that’s not comprehensive enough, then we’re happy to tell you than we can do it for you! We have expert verified, pre-drafted templates which you can fill out in a matter of minutes and print on a stamp paper. You can also allow us to print it on stamp paper and deliver it to your doorstep! Go ahead, create a car parking agreement now!